The attorneys at Powell Law have represented the disabled in Social Security Disability cases since President Eisenhower made disability insurance available in 1956. At Powell Law, we effectively assist clients throughout the entire Social Security Disability claims process. If you are disabled, here are some good reasons why you should consult with an experienced disability attorney. *A consultation with a disability attorney is free. Disability attorneys typically offer potential disability claimants a free initial consultation. The fees of disability attorneys are contingent on benefit approval. If they don’t obtain benefits on your behalf, they don’t get paid. Powell Law offers free office consultations and you don’t pay unless we win! *A disability attorney will (should) answer all of your questions. *A disability attorney will clarify the process of applying for disability benefits. A disability attorney that regularly represents disability claimants possesses the necessary familiarity with the claims approval process to informatively guide clients throughout its entirety. 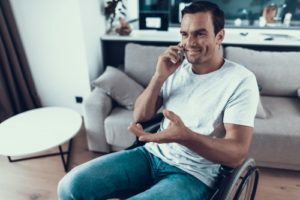 They may help claimants understand the benefits of each disability program, whether they possess the required qualifications, and whether members of the claimant’s family are eligible for dependent benefits. *A disability attorney will review your case and determine its likelihood of success. Moving forward with an application for disability benefits is a significant step that requires resources of time, effort, and money. There is no sense in doing so if a case is weak or lacks sufficient evidence. An experienced disability attorney will assess the viability of a case and inform a prospective applicant if it is likely to succeed. *A disability attorney will determine the evidence necessary to win your case. Any disability claim must be supported with evidence that is sufficient to establish eligibility for benefits. An experienced disability attorney may advise a client what evidence is specifically necessary to gain this approval. More importantly, an attorney can assist in gathering the evidence needed to support a claim. Disability applications may be delayed for many reasons. While some delays are unavoidable, many are avoidable. An experienced disability attorney knowledgeable of the disability review process can help expedite a stagnant claim through the system. Both attorneys and staff at Powell Law prioritize making clients feel comfortable and stress-free throughout the disability application process. This is accomplished by our focus on providing clients with all of the necessary information to understand the pertinent issues that exist in a disability case. Thus, Powell Law recognizes that having a tremendous support staff is as important as having outstanding attorneys. Our always friendly and helpful staff will efficiently handle all tasks and clearly answer all questions that are important and specific to a claimant’s particular case. Powell Law’s unsurpassed qualifications make it an obvious choice for representation in a workers’ compensation case in the Scranton/Wilkes-Barre area. Contact Powell Law at call (570) 961-0777. The consultation is FREE.